The latest figures show that the UK is the largest contributor to Australia’s migrant population with one in every 20 Australian residents being born in the UK. In the 2011 Census, 1.1 million UK born migrants lived in Australia with expats from New Zealand being the next highest group at 483,000 people. 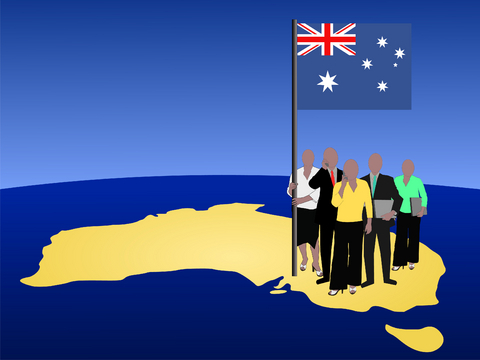 Australia also has a strong expat population from China with 319,000 people. India has 295,000 expats and Italy and Vietnam some 185,000 each. Cumulatively, migrants born in these six countries accounted for 49% of all migrants in Australia in 2011. The majority of migrants living in Australia are well established in the community, having been here for decades. Indeed, the median length of residence for migrants in Australia was 20 years. The data also shows that the length of residence in Australia differs markedly by country of birth, reflecting changing immigration trends over time. Migrants born in European nations like the Netherlands, Italy or Germany, for example, are some of the most established population groups in the country with median lengths of residence in Australia in excess of four decades. By contrast, migrants born in nations like China or India are relatively new arrivals to the country, reflecting the growing significance of migration to Australia from countries in Asia in recent decades. The median length of residence in Australia for migrants born in China and India was eight years and five years respectively. In comparison to people born in Australia, migrants show a tendency to settle in major urban areas of Australia. While 64% of Australian born people lived in a major urban area of Australia in 2011, 85% of those born overseas lived in a major urban area. The extent to which migrants settled in urban areas also differs by their country of birth. In 2011, some of the most urbanised population groups in Australia were migrants born in Somalia at 98%, China, Vietnam, Lebanon, Macedonia and Macau all at 97%, Greece at 95% and India at 93%. By contrast, migrants from New Zealand at 78%, the UK at 74% Germany at 72% and the Netherlands at 64%, tended to be less concentrated in major urban areas. They were still more likely, however, to live in a major urban area than people born in Australia. Within urban areas, migrants in Australia tended to live in Australia’s two largest cities, a trend seen in Australia since the late 1940s. In the 2011 Census, just under half of all migrants in Australia lived in either Sydney or Melbourne, with 1.4 million residents of Sydney and 1.2 million residents of Melbourne being born overseas. Perth had the third largest migrant population in Australia at 568,000 people. Sydney at 39%, Melbourne at 35%, and Perth at 37% were also the most popular cities for migrants when considered in proportional terms, with more than a third of the population in each of these cities being born overseas. Rates were lower for other mainland capital cities of Australia at between 25% and 27%, with Hobart having a notably smaller migrant population of just 15%. As the city with the largest overseas born population in Australia, Sydney is an important entry point for many new arrivals to the country. Sydney is not only home to a number of established migrant communities, but also hosts a number of higher education institutions and businesses which draw in overseas migrants.